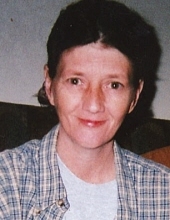 Teresa Marie Johnson Rhyne, 51, of Stoney Point, NC, passed away Thursday, January 31, 2019 in the Wake Forest Baptist Medical Center in Winston Salem, NC. Teresa was born March 25, 1967, in Welch, WV a daughter of the late Billy Ray and Anna Mae Phillips Johnson. She worked in a furniture factory for many years. In addition to her parents Teresa was preceded in death by one son, John Waldon Johnson; a brother, Roger L. Johnson, a sister, Anita Gay Hagerman and a fur baby, Dakota. Survivors include her fiancé, Joel Smith, daughter, Kaylynn Smith and fiancé, Trent Lackey, and son Brandon Smith all of Stoney Point, NC; five brothers, Estil Blankenship and companion Christal, Billy and Brian Johnson, and Kenny Johnson and companion Ruby all of Stringtown, WV; and Michael Johnson and wife Tina of Asheboro, NC; four sisters, Mary Owens and Brian of Bartley, WV, Carol A. Hughes of Grundy, VA, Sharon Roberts and Eli of Bradshaw, WV, and Paula Atwell and Kevin of Paynesville, WV; two fur babies, Candi and Levi whom she loved dearly; two brothers-in-law, Preston and Kelley Smith of Stoney Point, NC, a special niece and confidant, Ashley Payne of English, WV; and numerous additional nieces and nephews. Friends may visit with the family at the Chapel of Fanning Funeral Home in Iaeger, Wednesday, February 6, 2019 from 11 a.m. until 3 p.m. A funeral service to be held at 1 p.m. with Reverend Roger Pete Woods officiating. In honoring the wishes of the deceased her body will be cremated following these services. To send flowers or a remembrance gift to the family of Teresa Marie Johnson Rhyne, please visit our Tribute Store. "Email Address" would like to share the life celebration of Teresa Marie Johnson Rhyne. Click on the "link" to go to share a favorite memory or leave a condolence message for the family.